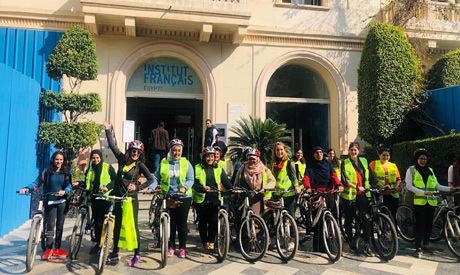 The embassy of India in Cairo, in coordination with Cycling Geckos, a prominent group of cyclist women in Cairo, will be organising a cycling event on 6 April in celebration of Mahatma Gandhi’s 150th birthday. The event will begin at 9am starting in Dokki and will end at the embassy premises in Zamalek. The cyclists will distribute food supply kits to a few needy families in the neighborhoods along their route. Women from various walks of life are expected to participate in the event, which aims to spread Gandhi’s messages regarding the need for a healthy and environment-friendly lifestyle and compassion towards the poor.